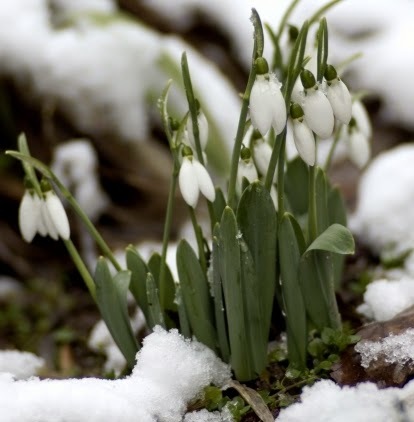 As the snow and ice start to melt, our hearts and minds yearn for spring and the beauty of spring flowers and plants. Those of us who love to garden can hardly wait to be able to get outside and work in our flower beds. To clean out the residual winter debris, to plant new flowers, to fertilize, and to just be able to breathe in that fabulous spring air that seems to cleanse our lungs of stale indoor recirculated air with each deep breath. My mind is planning and my fingers are twitching to get to work as I look out my kitchen window. My flower pots and beds are summoning me even as I write this article. I can hardly wait to be greeted by the face of my most beautiful iris and to touch to fragile petals of my tulips. Oh, truly the daffodils are calling from beneath the ice covered ground. 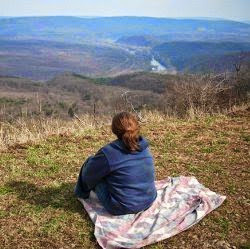 Can you hear the awakening of spring? Do you long for the beauty of blooming gardens? 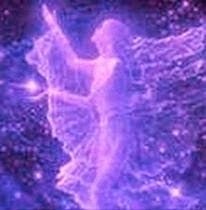 Then lets take a moment to plan, order and prepare for the glorious rebirth of nature just outside our doors. Many of our early spring flowers come from bulbs that would have been planted back in the fall. However, there are a few that we can plant in early spring. Pansy ~ The flower with a face is such a lovely addition to any garden. It is perfect for flower beds and container gardening. Hydrangea ~ The hydrangea bush is a pretty big bush with beautiful large blooms that are actually clusters of tiny flowers. They can be planted in early spring or early fall. You will find planting instructions, care suggestions, as well as see a selection of hydrangeas at How to Grow Hydrangeas. Azaleas ~ Beauty and charm are the two word that come to mind when I think of Azaleas. Having grown up in the South, Azaleas are simply part of my everyday world. To such a degree, they are easy to take for granted. You can learn all about proper care of Azaleas in this video on Southern Living. A spring garden would not be complete without those fabulous plants that often serve as background for our flowering plants. The greenery in a garden is essential, but there are a few plants that truly stand out all on their own. Lamb's Ear ~ Silver Carpet Lambs Ear is one of my personal favorites. It is appropriately named because it feels like a little lambs ear when we touch it. It is a very resilient plant that allows even small children to touch and feel. The beauty of this plant far exceeds it's visual appeal. 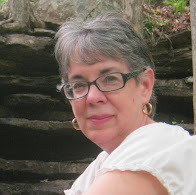 My friend, Beverly Owens, published an article on Lambs Ear on her Indiana Garden site. 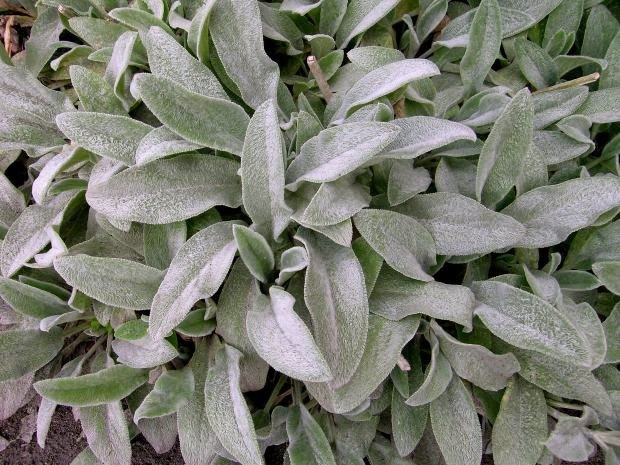 You can find out more about Lambs Ear by visiting: Lambs Ears A Nice Perennial For Indiana Gardens. But do keep in mind, Lambs Ears are not restricted to Indiana. They flourish in many regions. Part of the beauty of having you own flower garden is being able to step into your own backyard, cut a few flowers and make your own floral assorted arrangement to bring inside. I typically like to do this when my flowers are fully bloomed, or right before a storm when I know the blooms will be shattered. I recently discovered an article of inspiration on Accenting Your Easter Bouquet with Dark-Hued Flowers. Since I love "black" flowers, the ideas and suggestions in this article very much appeal to me. I normally place a black flower in a single bud vase, but I was intrigued by the author of this article, Paula Atwell and I asked myself "why not include them in a bouquet?!!" That is one of the things I love most about working online. 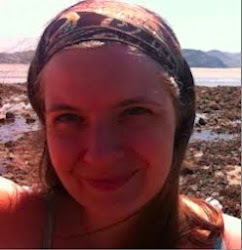 There are so many great ideas shared by fellow online writers that encourage, inspire, excite and teach freely. Do you have an article about Spring Flowers that you would like to share? Please leave the link in our guestbook below so we can visit your Spring Flowers article today. Each year I like to take a class or two to update my photography skills. 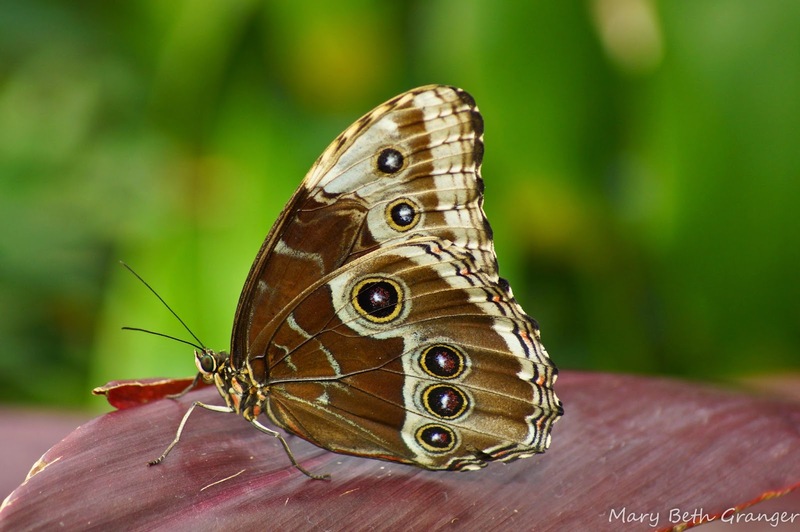 When I heard that there was a special class at The Butterfly House on capturing great shots of butterflies I was anxious to attend. The class was held during the hours that the house was closed so that the photographers could use tripods and not disrupt the normal flow of guests. On the day of the class it was a frigid 8 degrees outside. 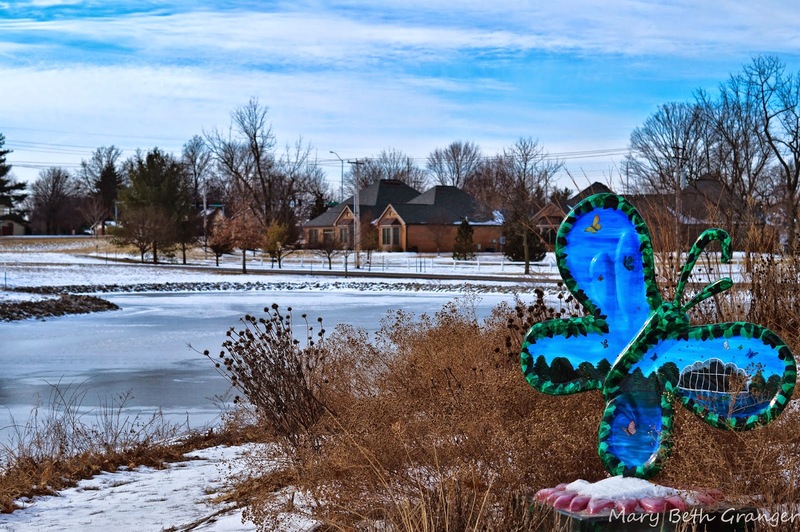 The scene above is the frozen lake at the entrance to The Butterfly House. I was looking forward to getting inside to the warm butterfly conservatory where the temperatures are kept in the 80's for the tropical butterflies. When the class started the instructor gathered us around for a few tips about photographing butterflies. Before we entered the conservatory, he had us put a plastic bag over our camera lens and secure it with a rubber band. This would help the camera become accustomed to the change in temperatures and prevent condensation on the lens. We then entered the conservatory and gathered around for a few tips on photographing butterflies. After the instructor gave us these tips we removed the bags from our cameras and we were ready to begin our photography. Capturing a good butterfly photo requires a lot of patience. I walked the path of the conservatory looking for a butterfly that was sitting with it's wings open, in a spot where it wasn't hidden in the foliage and where the light was good for a photograph. Now that is a tall order! 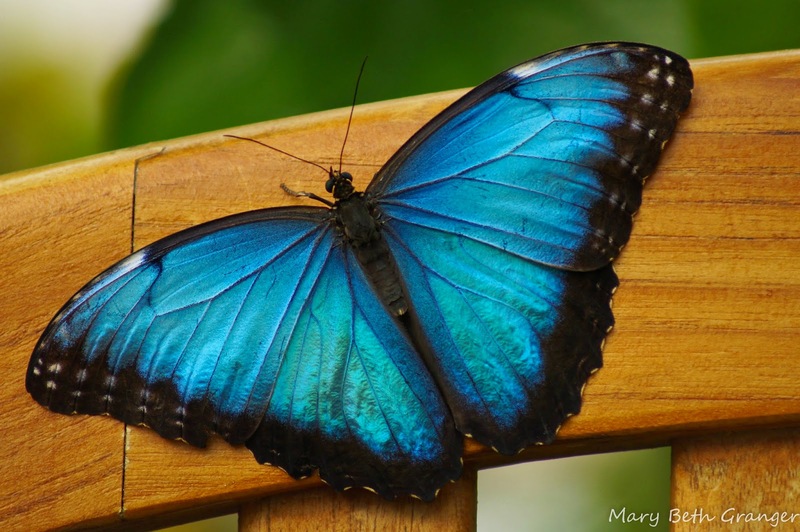 There were a lot of Blue Morpho butterflies flying around but very few that were sitting still. Here are a few photos I was able to get of these beautiful blue butterflies. The first butterfly was perched on a bench and stayed there for the longest time. I sat on a bench across from it and set up my tripod. It stayed there while I shot a whole series of photos and then went to let some of the other classmates know about this shot. In the second shot the butterfly was back in among the foliage and in the shadows. Our instructor used a reflector to shine light on the butterfly and I was able to capture this shot. I love the way it really shows all the lines on the butterfly. 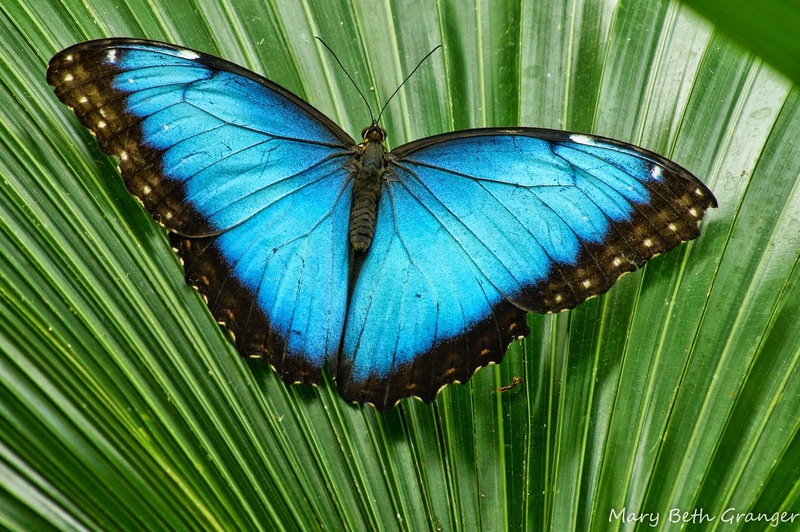 The photo below shows a Blue Morpho butterfly with its wings closed. Don't expect every shot to be great...if you come away with just a couple good photos it will be a successful shoot. 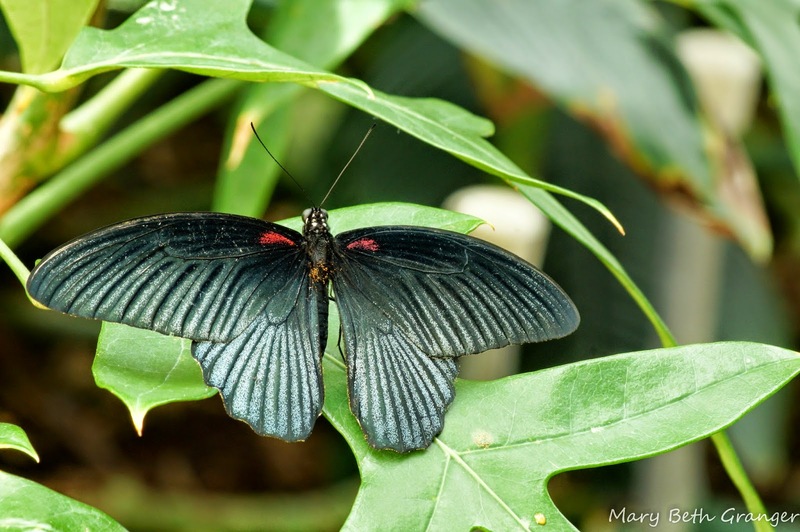 The Butterfly House features more than 25 species of butterflies from around the world. Here are a few of my other favorite shots from the photography class. 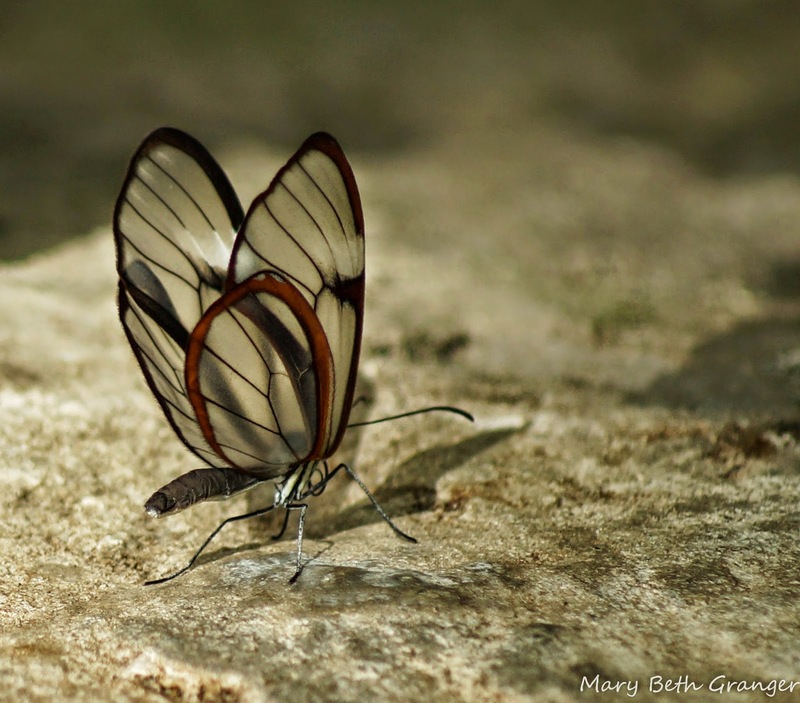 I especially like the second one with the transparent wings. Know a book lover? Show your love with a gift to warm their book-loving heart. 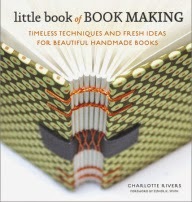 Here's our review of easy to make handmade book crafts for readers and writers. 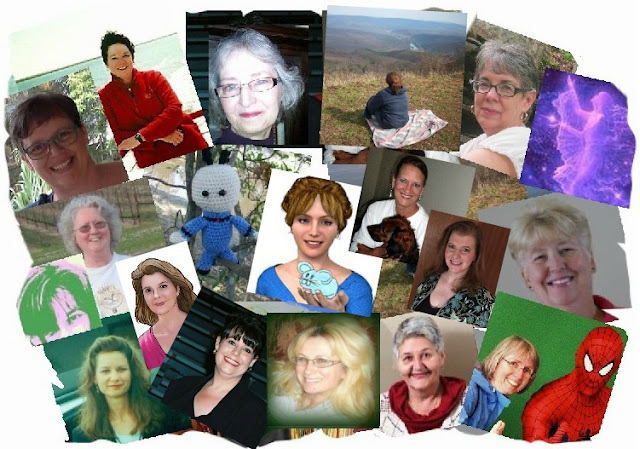 There's a new craft website on the Web and, in its first month, Craft Closet has been a busy place. 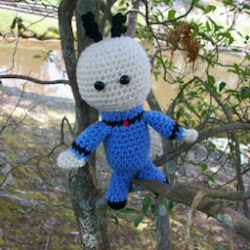 When you're looking for crafty ideas, information, and inspiration, browse the Craft Closet archives. There are sewing projects, crafts for kids, ideas for paper crafts, jewelry tutorials, crochet patterns, and so much more. Today I'd like to share with you some of the cool handmade book crafts that the Craft Closet writers have created. Making scrapbooks is a popular hobby and a great way to preserve memories. If you have some lunch-size paper bags around the house, you can make your own scrapbooks. Just stack the bags on top of each other and sew down the middle. After you've assembled the basic book, it's time to get out your scrapbook materials and begin decorating. This paper bag scrapbook even has pockets where you can slip small surprise pages. Book covers are an easy way to hide an ugly book, keep your reading choice a secret, decorate a bookshelf, or protect a valuable book. When you want to be creative and you have basic sewing machine skills, this pocket-style fabric book cover is a fun project that can be completed in an hour and can be made from fabric found in your scrap drawer. These fabric book covers can be made to cover any size book. Send kids off to school with a funky new covers for their textbooks. Make a one-of-a-kind cover for your checkbook. Or, hide your latest romance novel behind a cover of fabric. Do you or a friend keep a diary? Every have difficulty finding just the perfect journal? Here's an easy way to solve that problem. Upcycle a journal for yourself or your friend using colorful duct tape or washi tape. Start with a simple and inexpensive journal or notebook. Shop your local dollar store or other discount store for good deals. Then, pick your favorite colors and get taping. You'll have a journal to fit your mood in less than 30 minutes. If you've been inspired and want to try your hand at a few more book craft projects, check out the Little Book of Book Making for more ideas. Inside the Little Book of Book Making, you'll find dozens of unique book making projects from folded books to books with sewn bindings. 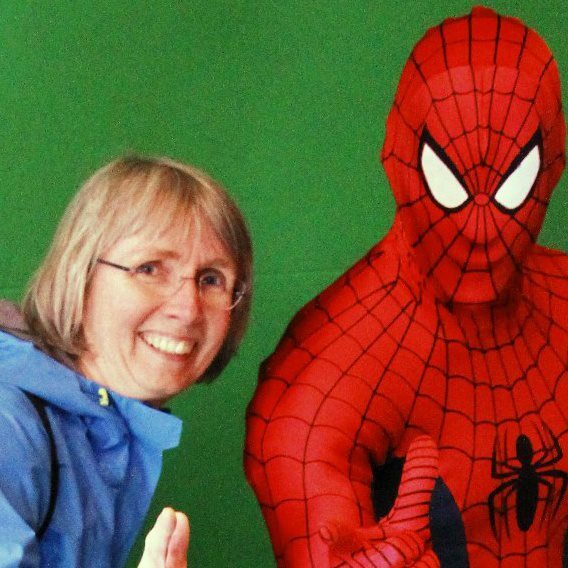 Developing a relationship with a toddler across the miles can be a tricky thing. As my son's child is approaching his second year of life, I realize that I am arriving late to the grandparenting-via-the-internet scene. Suddenly, here we are. 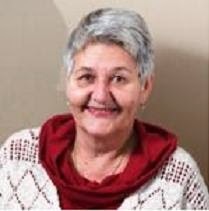 Reading to my grandbaby online has been a wonderful experience. But it requires the right book. 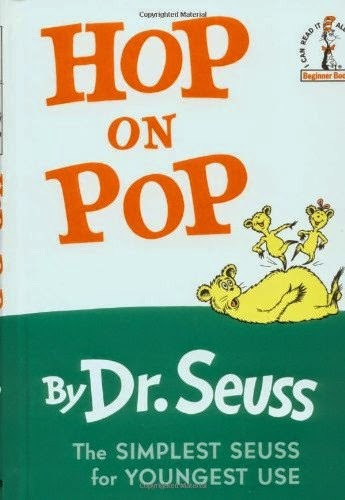 I have found that Dr. Seuss' Hop On Pop is the perfect book right now. My son and I talk on the phone. I treasure those phone calls. But when we try putting the baby on the phone it's no good. At least, not with my grandbaby. He got to the stage that he would listen for a second, but wouldn't respond. I think he only wanted to push the pretty buttons. So we have begun using video calling. I consider myself technologically challenged. 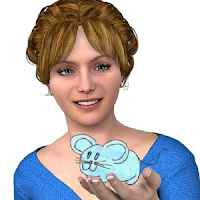 I can move around the internet adequately but I have to use fairly simple programs. 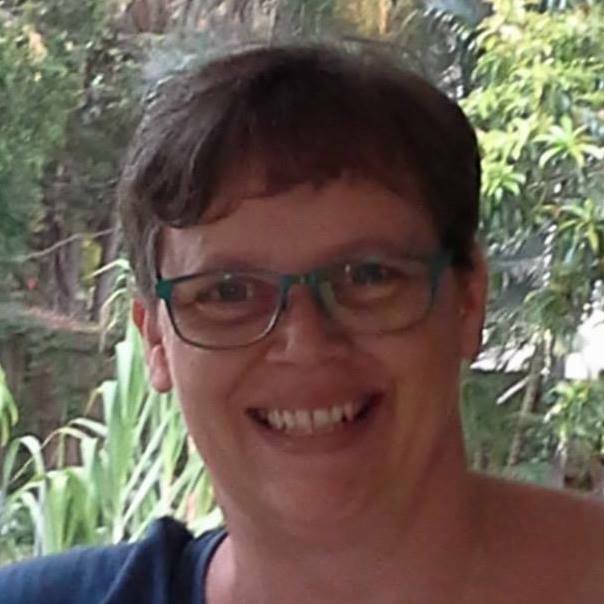 As I realized that my grandbaby was getting to the age that he could begin to understand that "Gramma" is a real person, I began to want more time with him. Of all the video calling programs, I chose Skype to help create some time to visit. 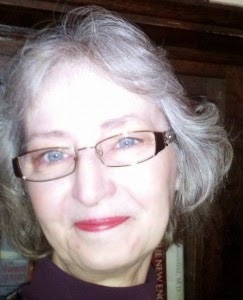 I just muddled through on my own but if you would like more help, there are articles such as Using Skype to Connect with Grandchildren of All Ages to provide both instruction and ideas. Skype is easy to use, even for me. There are many video calling programs out there and you can choose the one that works for you. But I've chosen Skype. On Skype, I like the ease of use. I like the feeling of privacy, I have to answer the call and I don't have random video screens popping up of things I don't want to see (and that some people should have the sense not to show). The split view shows the small view of me as well as the large window that shows my son and grandbaby. This split window screen helps me see what I am showing to my grandbaby - especially while i'm reading a book. The challenge with Skyping with a toddler has less to do with the program and more to do with being interesting. Let's face it, looking at Gramma on a screen isn't as interesting as pounding on the keyboard or running around the house. So, trying to keep a toddler's attention isn't easy but it can be done. There are many ways to get and keep the attention of a toddler while online; albeit sometimes not for very long. I mimic my grandbaby. If he is showing me his Snoopy slippers, I show him my socks. If he shows me a toy, I try to show him something interesting. In those small ways, he keeps interested. I like to read to my grandbaby and have realized that some books just don't translate well across the miles. Too many words or too busy of artwork just doesn't keep his attention. Slick pages reflect the light and he can't see the pages as I read. I have found that Hop on Pop by Dr. Seuss is a very good attention-keeper. The few words on each page keeps the pages turning quickly. 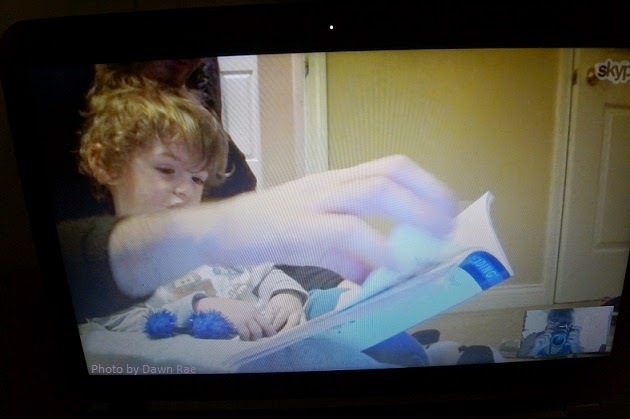 The pictures are very easy for my grandbaby to see when I hold the book up to the camera. He is intrigued by the pictures and he always points at the mouse and the bee. I can keep his attention with Hop on Pop. After I read to him, he runs to get a book and has his dad read to him and Gramma. Right now, his favorite books to read back to Gramma have to do with Lighting McQueen. 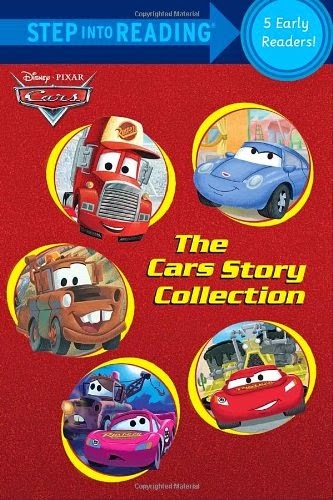 You may know Lightning McQueen from the Pixar Cars movies. That little boy loves the Cars characters and Lightning McQueen. I share a bit more about his treasured collection in a separate article. Now that I know about Skype, I wish I would have started a bit earlier than at a year and a half with him. Yes, it is frustrating at times but keep at it and you'll find a way to interact and entertain that grandbaby - becoming closer even if you are too many physical miles apart. Five Toe Shoes for that Barefoot Feeling! There are two popular makes of Toe Shoes: Vibram Toe Shoes and File Skele. My son requested these for his birthday and of course that request resulted in this research! The most preferred brand is Vibram Five Toe Shoes, however if you're looking for a slightly less expensive Toe Shoe then Fila's are also good choice. 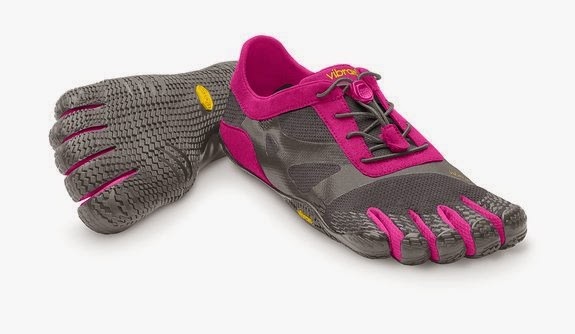 The notable difference between the two shoes is that while Vibram Toe Shoes have 5 toe slots, Fila Skele come with 4; The last two toes on Fila Skele-Toes are a shared slot. You'll also notice that Vibram Toe Shoes are designed to shape the foot, where Fila Skele are less of a contoured fit and have more of ridged bottom. 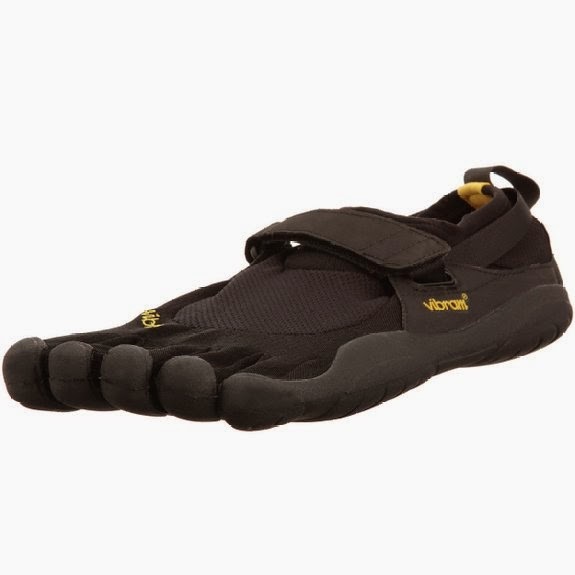 Vibram's were specifically designed to emulate a barefoot feeling, and thus are shaped like a foot. Why Wear Five Toe Shoes? There's a great deal of evidence that running barefoot allows a person to run faster and farther with less injury. Vibram Toe Shoes are designed so that you land directly below your center of gravity...which would be on your forefoot. This type of shoe gives you less of an impact and provides better balance while giving you more propulsion. Since you're in a simulated barefoot shoe, you'll be able to sense more of the impact on your feet and thus make adjustments to improve agility and balance. This is one of the reasons Runners love these type of shoes. These Toe Shoes are also structured to help strengthen the muscles in the lower legs and feet. In the case of my son, he's not a runner, he just decided these would be comfy and wanted a pair! The most popular all around Toe Shoes are the Vibram KSO Toe Shoes, which are the ones I've decided to go with. I know, you think of those hot, steamy days of August when you hear the term 'Dog Days', but you'll be surprised to learn how many February dates are related to the lovable pet known as DOG. There are quite a few dog-related holidays in February alone. Perhaps this is because the Westminster Dog Show is held this month, putting the focus on dogs. Although there are numerous days throughout the year dedicated to dogs in one form or another, we present here just a few celebrated in February. Dog owners walk their dog every day, but on February 22nd I guess they get to have an extra-special walk. 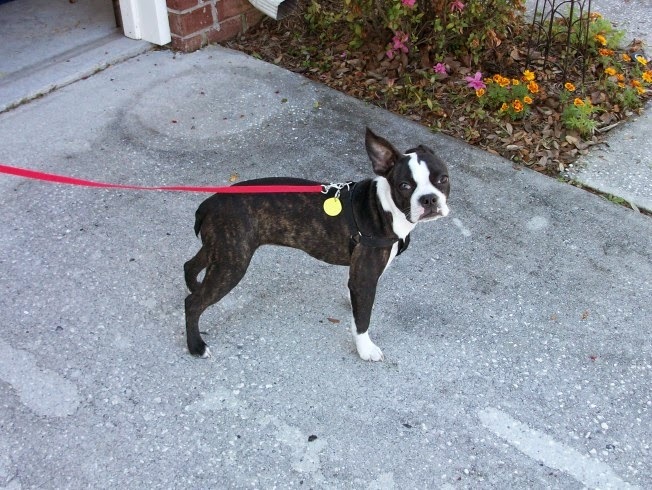 My brother's dog, Abbi, the Boston Terrier, loves her walks every day. There's just so much for a curious dog to sniff and see and enjoy while walking along a trail in the woods or just around the neighborhood. As Abbi's 'aunt', I've gotten in my share of dog walks with her. Walking is good for both dog walker and dog. Abbi is a rescue pup who has found her 'forever home' with my brother & sister-in-law and she is a happy dog indeed. February 20th is “Love Your Pet Day”. While not limited strictly to dogs, one of the most popular pets is a cute puppy and the grown up dog he becomes. No one knows who created this 'love' day for pets, but probably it was a pet lover (or the pet of one). It's definitely a day to lavish extra attention on your pet, be it a dog or other kind of animal you love. 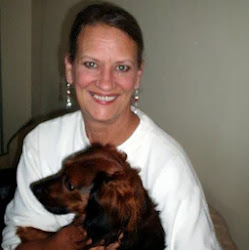 Our own Dawn Rae wrote this delightful story about her Rat Terrier, Daisy and you can just feel all the love she had for Daisy the dog. Put February 20 on your calendar each year so you don't miss out on 'Love Your Pet Day'. 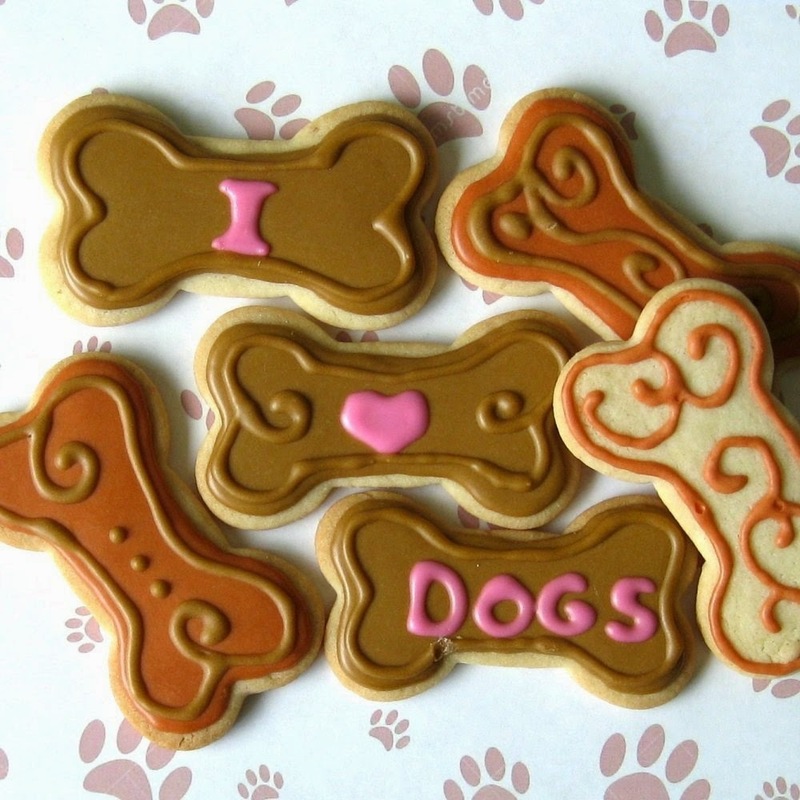 Another 'dog day' to celebrate in February is “International Dog Biscuit Appreciation Day” on February 23rd. I can't think of a better way to let your dog know you appreciate him/her than with a favorite doggie treat. Dog biscuits are snapped up immediately by dogs and the best kind are homemade. 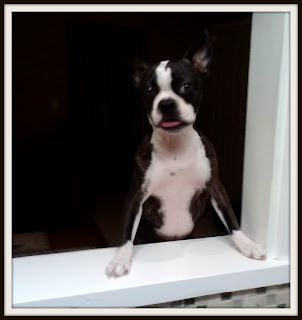 Try the recipe in this article filled with homemade dog food recipes and helpful tips for making your own homemade dog biscuits for your furry friend on a day we appreciate the dog biscuit. The shape is easy to make with this dog biscuit cookie cutter from Amazon. Besides dog biscuits, your favorite puppy might enjoy a special cupcake made especially for a doggie palette with ingredients just right for a dog diet. 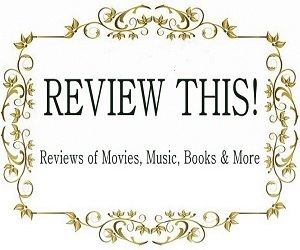 The recipe by Susan Zatautas is found in another review by Sylvestermouse called “Cooking for Dogs”. Celebrate all the Dog Days in February and Thoughout the Year. 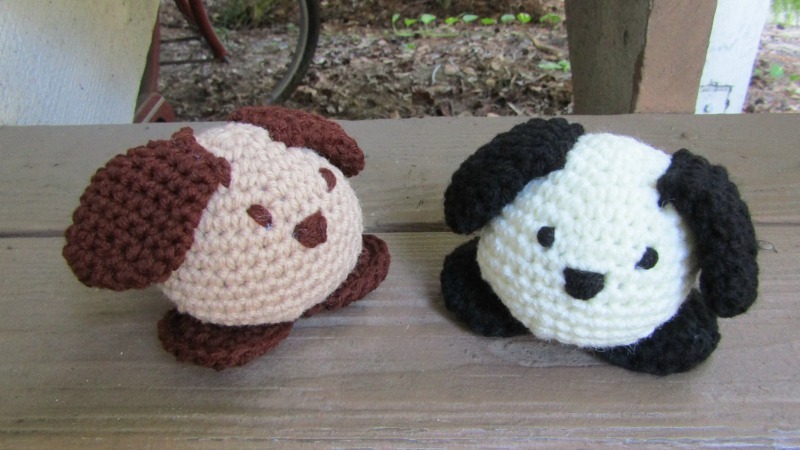 My crocheted dogs, Paulie and Petunia, hope you (and your dog) get to take advantage of all these special February days for dogs! For more dog stories and reviews of products for dogs, check out the DOG section here on Review This Reviews. Sling Television Brings Live Major Network TV Back to Cable Cutters! 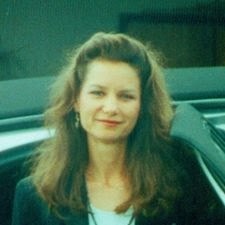 Several months ago, I had finally had enough! Cable TV just kept getting more expensive while quality continued to decline and customer service was basically nonexistent, so we pulled the cable plug. However, we still have TV. My husband reconnected an old fashioned antenna. Remember the rabbit ears? Yes, we have those again, but they are hidden behind a plant on top of our TV cabinet. This allows us to watch local TV stations, local news and local weather. We also purchased a Roku from Amazon.com and hooked it up. Through the Roku, we are able to view hundreds of movies and TV programs that are streamed programming, but not live TV. It is good, but not exactly perfect. However, just this week I received an email introducing Sling Television and our major network TV viewing is live again! With Sling Television we can now have live major network TV again! The basic Sling service cost only $20/month and we could not be happier. I now have CNN, A&E, AMC, TNT, TBS and Cartoon Network on live TV. The basic service also includes ESPN, ESPN2, Disney Channel, Food Network, HGTV, Travel Channel, and more. There are additional packages available as well for only $5/month. We won't need those, but it is definitely worth mentioning that Sling has upgrades to their basic service available. Here is a line up of the services we now have on TV. You can see for yourself how we have substantially cut our monthly costs. You, too, Can Cut Your Cable Cord and Save Money! Zazzle has some really fun jewelry pieces that can be customized and make great gifts. Whether you are looking for a necklace, charm bracelet, ring or watch, you can find something to fit your needs. What is really great is you can customize these pieces and make them really special. The link below shows a necklace I made from a photograph of Jupiter lighthouse. Wouldn't this be perfect for the lighthouse enthusiast in your life? Zazzle features three different styles of necklaces. Each of these necklaces comes in three different finishes: silver plated, gold finish or sterling silver. The necklaces come with an 18inch chain that has a 2 inch extender. You can customize a necklace with a favorite photo or monogram. 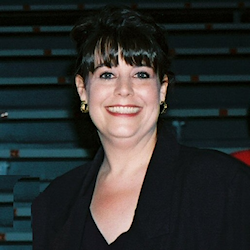 The necklace below was created by Coletta. It features a beautiful neon pansy design with 4 pansies. It would make a lovely gift. Here is a special locket made by Heather. Charm bracelets and charms make great gifts for others or for yourself to remember a special trip. With Zazzle you can add photographs to the charms to make them special. Zazzle charms come with or without the bracelet and can be made in a square or round shape. The Lion charm below was made from a photo my sister took during a trip to Tanzania, Africa. Photo rings are a unique gift you can make on Zazzle. Make one with a child's photo for a Mothers Day gift or perhaps one of a favorite flower. These rings are sterling silver plated and come in sizes 6-10. The photo below is a wildflower I photographed in Florida. Zazzle has eight different varieties of watches available. 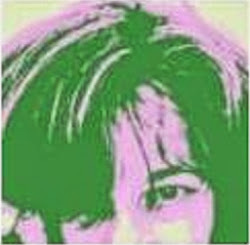 Each can be customized by you or you can choose one of the great designs by Zazzle artists. These watches are battery powered and water resistant. The watch below was designed from my photographs of lilacs. It is shown on the Sporty style watch. Selecting birthday cards for friends you've never met in person is a challenge. 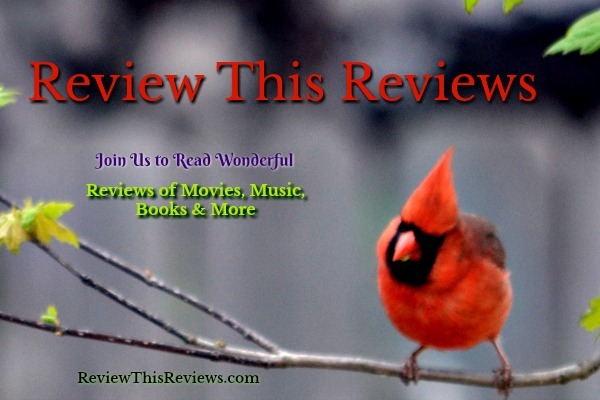 Find the perfect greeting in this review of birthday cards for online friends. We all have them. Virtual friends that we hang out with online. We've never met them in person, but we feel we've known them all our lives. And, when our online friends celebrate a special birthday, we want to share it with them. What do you send the friend you've never met for their birthday? Let's review birthday cards for online friends. Buy this card on Zazzle. Yes, it may sound old-fashioned, but many people still enjoy getting cards and letters delivered to their front door. When an online friend has shared their mailing address, take a suggestion from Review This! 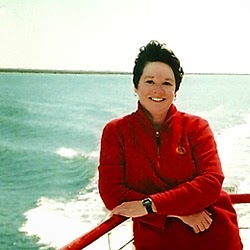 contributor, Mary Beth. 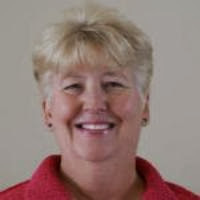 Mary Beth loves to create special greeting cards for her special friends. 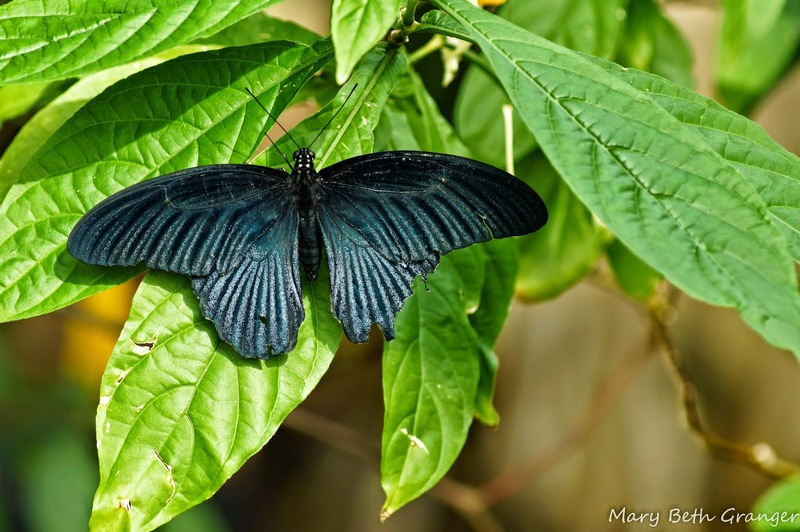 And she loves to share her pictures of butterflies in her Zazzle print-on-demand gift shop. The cool thing about shopping at Zazzle is that you can customize the gifts you buy. 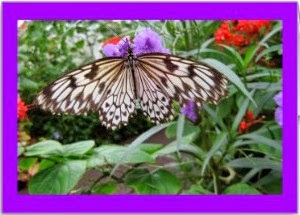 Mary Beth's Paper Kite Butterfly greeting card, and all greeting cards on Zazzle's site, can be personalized. You can add a birthday greeting to the front of the card and add a personal wish to the inside. 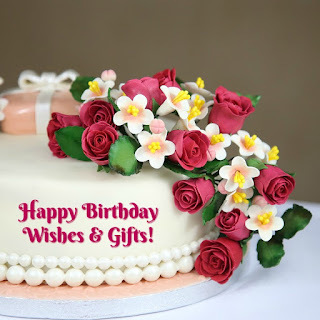 Do a web search and you'll find a long list of websites where you can create an electronic birthday card. These sites usually have a selection of free and fee cards. After you select and customize a card, the site sends an email to the card recipient with a link to the card. The only information you need to provide about your birthday pal is an email address. My favorite web-based greeting card service is E-Cards.com. I found E-Cards about 15 years ago and have always had a good experience with their service. E-Cards has a nice selection of free cards or you can join the site for access to members-only cards. If you care about wildlife and the environment, E-Cards donates a portion of their earnings to organizations such as World Wildlife Fund, Natural Resources Defense Council, Environmental Defense, Grist Magazine, The New American Dream, and The Green Schools Initiative. Gift cards are the universal gift. Gift cards are easy to purchase and easy to spend. The great thing about gift cards is that you don't have to second guess about what your online friend would enjoy. Amazon.com has made gift card giving a group activity. With the Amazon Birthday Gift, you and your online friends can contribute any amount to a birthday gift card for another online friend. All you have to do is tell your friends where they can make their contribution. This short video explains how it works. It's easy to remember your online friends on their birthdays. Especially when sending a birthday card is just a few mouse clicks away. Life is stressful. 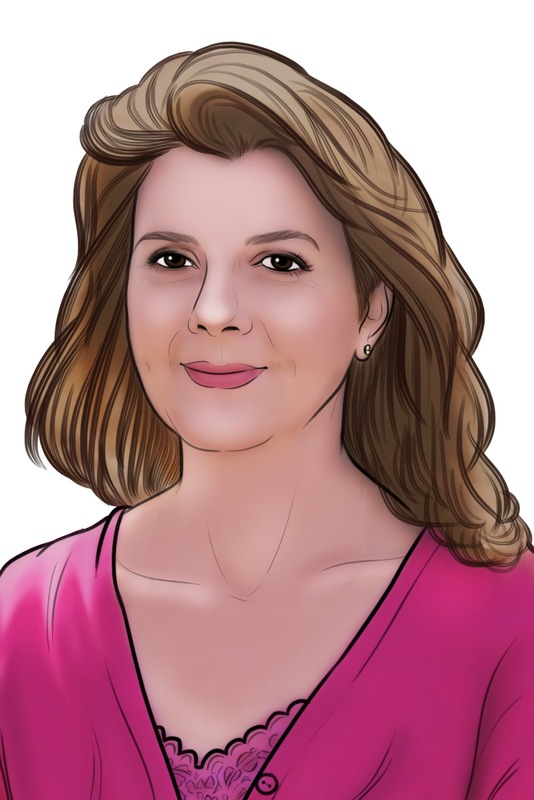 In this review, I will share with you an easy and inexpensive way of obtaining some much needed stress-relief. 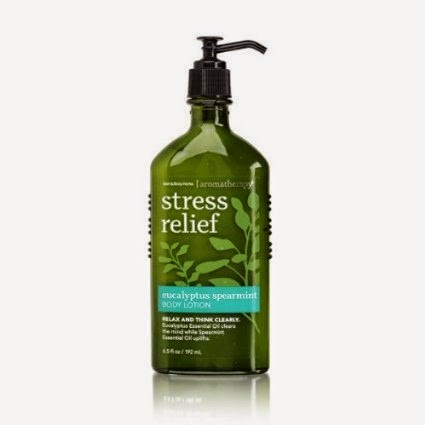 Have your Bath & Body Works Eucalyptus Spearmint Aromatherapy lotion delivered to your door and feel the stress melt away. Relaxation may not be as elusive as you might think. I received a bottle of Bath & Body Works Eucalyptus Spearmint Aromatherapy lotion as a gift. Initially, I was a bit tentative about the gift. Fragrances are difficult gifts to give because not everyone likes the same fragrance. In addition to that, as someone who has migraines that are sometimes triggered by fragrances, I am cautious with new scents. However, with the first use of this aromatherapy lotion, all of my reservations disappeared. The Eucalyptus Spearmint scent combination is aromatic. It is not a subdued scent. For stress relief, the website instructs to smooth the lotion on generously and breathe deeply. This is how I apply the lotion, before bed or after a bath. I am not sure how much stress is alleviated from the use of this lotion, but the moisturizing and the scent are pleasing. I do feel more relaxed after applying it. We have a wonderful, local, brick and mortar Bath & Body Works store. It's a great little store. However, I don't always enjoy fighting the crowds for a bottle of lotion. 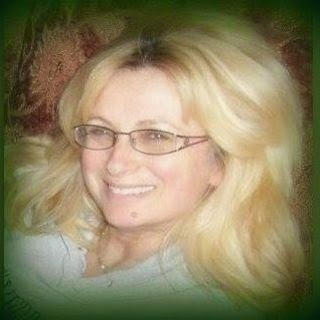 I began using the Bath & Body Works Website to buy my lotions and to order gifts. I love saving my time and money by shopping online and having my purchases delivered to my door. I explain how I saved 50% on my current order on Treasures, Travel, and Tales. There is another Bath & Body Works aromatherapy body lotion that I received as a gift and highly recommend. 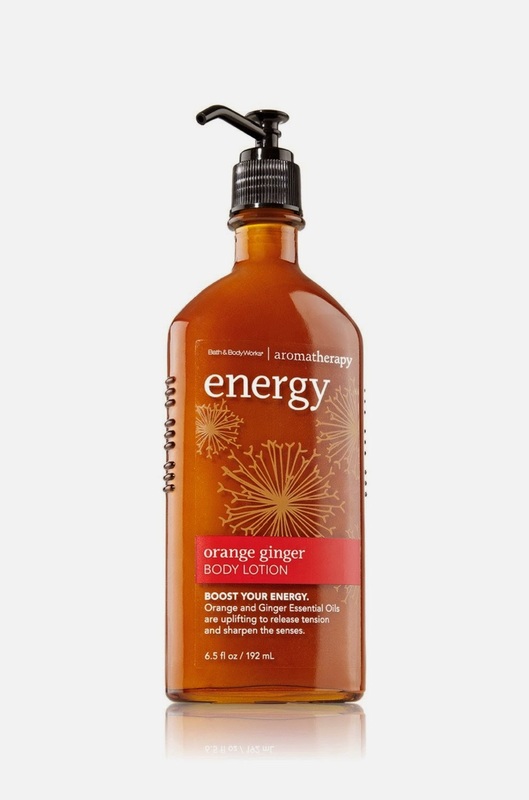 If you are concerned that the eucalyptus spearmint lotion may be too strong, you will definitely want to try the Orange Ginger Energy Body lotion. Personally, I love them both equally, but for different reasons. The Orange Ginger aromatherapy body lotion is also packaged in the glass bottle with the pump dispenser. The aroma also is from essential oils but is a softer fragrance. Again, while I can't quantify how much more energized I feel after using this lotion, I am sure that I feel good after using it and I love the scent. Any bit of relaxation and self-care that we can bring into our lives is pretty important to our health and well-being. Pampering ourselves is one way to do that. These are just two of my favorite items. The best way we found to clean grout was to paint and seal it. Forget trying to scrub the dirt out of the grout lines 'til your arms fall off. 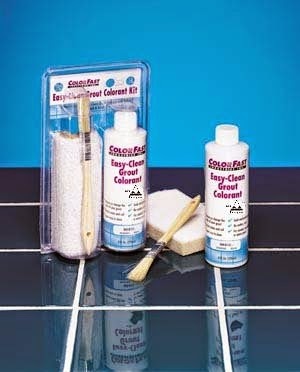 We used this Colorfast Grout Colorant. You'll see some before and after pictures of our kitchen floor. We've tried a few different ways to clean the grout on our ceramic floors - We've used a steamer (maybe you've seen that method advertised on the shopping channel) and we've even gotten down on our hands and knees and tried to bleach out those ugly dark lines with a toothbrush! 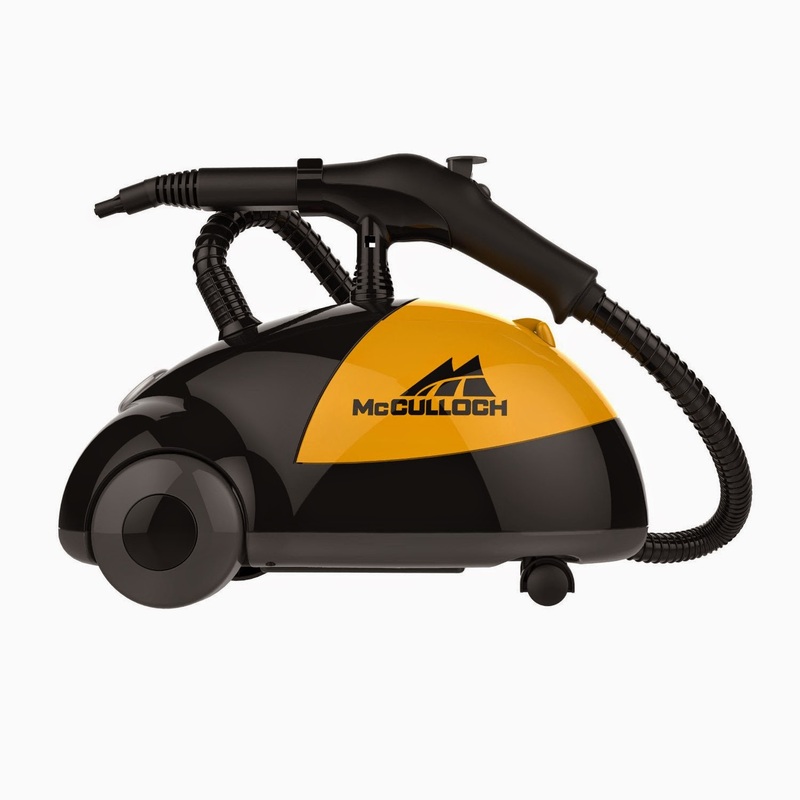 Guess what, both the steamer method and the hard-labor scrubbing method worked as well, but not even close to what this product did for our floors. Make sure you look at the before and after picture so you can see the final result. tiles defined by grout lines that essentially make the tiles appear to be checkered on the floor. After researching numerous product options for cleaning our grout, my husband decided to give this tile grout paint/sealer a try. It was a wise choice! He selected the white grout colorant and carefully followed the instructions that came with the product. He put the colorant directly on the light grey grout but prepped the tile grout first according to the instructions. 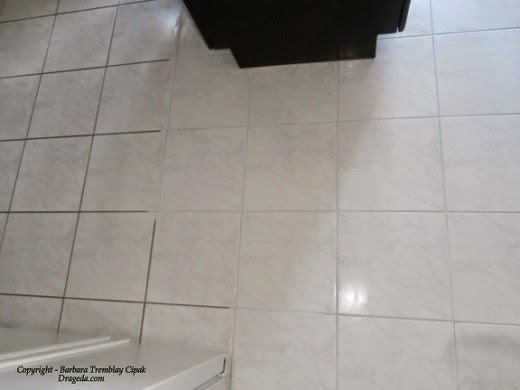 He put two coats, and applied it until the color of the tile grout was nice and white and clean looking. Note: you may not need two coats, we just decided to do it. Also, we had a couple of chips in the white tile squares, and we HATED the look of that! So instead of going the route of replacing tiles, he simply dabbed the chipped areas with this grout paint. Our plan is to eventually do a full kitchen renovation, but in the meantime we wanted to do something that would give our kitchen a bit of a clean facelift....because we really didn't like those dark lines! It also seals the grout at the same time, so that dirt and grime have a harder time penetrating the surface and thus dirtying it up again! We've had it on our floors now for four months and it still looks great. So, if you decide to go this route to clean your tile floor grout, just be sure you select the color you want and follow the directions on the package. If you would rather use a steamer to clean your tile grout,here's the floor steamer we've actually used - This can be used for so many other things as well - We've steamed the mattresses, the floors, tile grout, draperies, and even used it to steam the carpets in our car. It works very well, but it won't change the color of your grout - it will simply get the dirt out. When you use a grout colorant that is close in color to the overall color of the actual tile, it aids in the tile appearing more like one-continuous-piece. In a smaller space, having tiles appear as individual squares can contribute to the room seeming even smaller. So the more you're able to get the floor to look as though it flows as one piece, the better for size impression. Since this is Valentine's Day, it's time review a few of the fun and interesting things about this holiday. Some history, some cooking, even some romantic ideas. Along with some not-so-romantic ideas as well. Ever wonder how this tradition of Valentine's Day got started? Turns out to be a religious feast day, originally. There really was a man named Valentinus who was later cannonized in the Christian faith. Seems St. Valentine was known for performing illegal marriages. 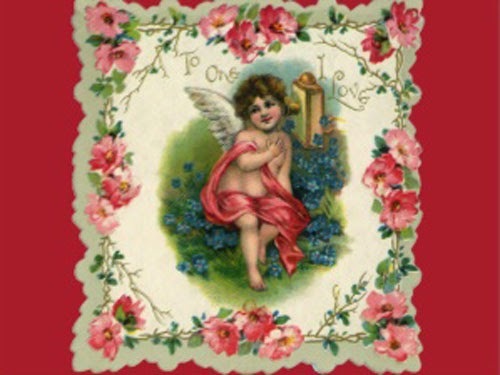 Of course, there is more to the history of Valentine's Day. But, it's fun to see how it's origins really happened. Mind-floss.com pulled together a fun collection of offbeat Valentine's Day traditions (www.mentalfloss.com/article/61624/offbeat-valentines-day-traditions-around-world). Some are interesting, some are funny, while others are just plain strange. My favorite is the tradition from Finland. They don't celebrate with romance but with friendship. Then there is the humorous, while traditionally romantic Valentine's Day custom in Taiwan. The meaning of the number of roses a guy gives a gal can change their lives significantly. Certainly, modern day traditions include plenty of food for this celebration. Chocolate, of course. But, there are other fun options. Cooking for the Holidays author Cynthia gives us a fun collection of easy ways to decorate cupcakes for Valentine's Day. 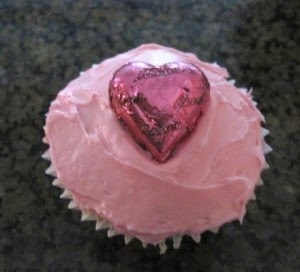 Here on Review This, you can find a great review of other Valentine's Day food treats. Do we ever have enough heart-shaped goodies? Not in my view. As long as we are celebrating Valentine's Day, why not celebrate with all kinds of love, whether the romantic kind or the friendship kind. Are you looking to spruce up your kitchen? Perhaps you need a special gift for a shower or other event. Zazzle has a wide variety of kitchen items that can be customized to fit your needs. 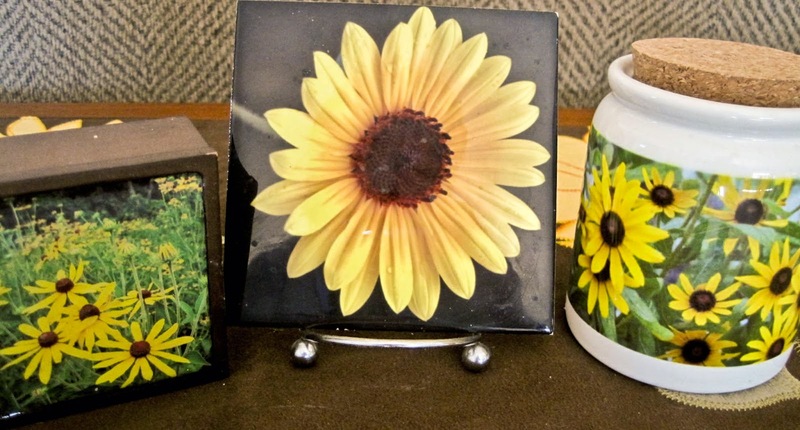 The above are a few of the Zazzle items I made to compliment a sunflower decor kitchen. They were all created on Zazzle using photographs I took of bright yellow flowers. When you create your kitchen decor with Zazzle the possibilities are endless. Here are a few of the items available on Zazzle. Each can be customized with your photos or designs. Zazzle has a wonderful party plate that you can customize to fit your needs or chose from one of the designs by Zazzle artists. They are 10 inch plates made of Melamine and are dishwasher safe. The plate below is one I designed from a photo I took of Peggy's Cove lighthouse in Nova Scotia. Placemats will set the tone for your dining experience. These beautiful Zazzle placemats are 20 x14 and made of woven cotton. They are machine washable too! Create one of these using your favorite photograph. You could use a scene that you particularly like, a holiday scene for special occasions or perhaps a favorite family photo. The place mat below is one I created from one of my favorite views in Jupiter, Florida. I love to see the sunrise over the ocean. Zazzle's kitchen towels are 16x24 and are made of woven polyester. They are made in the USA and are machine washable. Create one in a design to fit your kitchen. I made the one below to go with a yellow sunflower designed kitchen. It was created from one of my photographs. Make teatime special with these delightful teapots from Zazzle. They are white porcelain and come in both 11 and 44 oz. sizes. They are both dishwasher and microwave safe. Personalize one with your favorite photo or design. Here is one I created for a yellow kitchen from one of my photographs. Browse other tea pots designs on Zazzle. 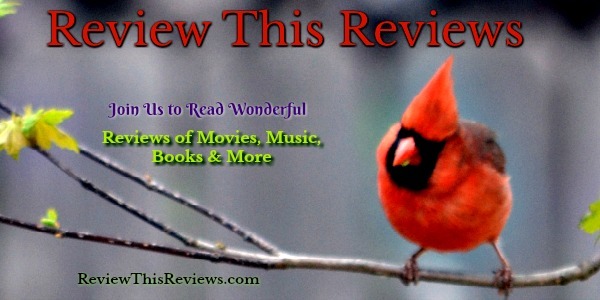 Review This authors are also busy making kitchen items on Zazzle. The links below will take you to beautiful cutting boards, coasters, and an apron by Cynthia, Coletta and Heather.